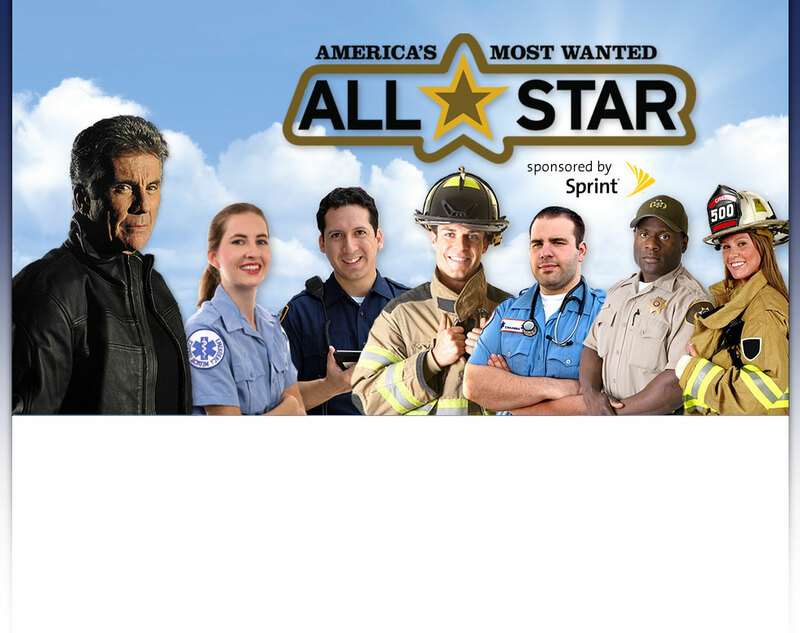 The Prince George's County Fire/EMS Department is supporting Sergeant Suzie Johnson of the City of Hyattsville Police Department in her quest to become America's Most Wanted All-Star. We have provided a link at the bottom of the page for members of our Department to support one of our hometown heroes!!! 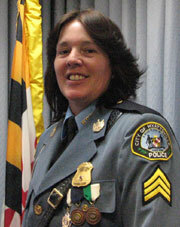 Sergeant Suzie Johnson was just six years old when robbers broke into her Hyattsville home. When police arrested them before they could get away she knew she wanted to be a police officer. The first police officer in her family and the highest ranking female officer in the Hyattsville Police Department, Sergeant Johnson has spent nearly eighteen years serving the community she calls home. Sergeant Johnson started in law enforcement in 1990 serving the residents of Washington, DC with the Metropolitan Police Department. Since joining the Hyattsville Police Department in July 1993, she has served as a patrol officer, led the Community Action Team, and now heads the Criminal Investigation Division. Her work has gone well beyond the typical responsibilities of a police officer. Sergeant Johnson spent seven years coordinating the Sonny Frazier Toy Drive, a program that reached more than 2,000 children at the holidays and she chaired her city's National Night Out Against Crime for six years. Most recently, Sergeant Johnson has managed the city's outreach efforts to aid a family who suffered an unthinkable tragedy. Their home burned to the ground, claiming the lives of two of their four daughters, and destroying everything they owned. With community partners, Sergeant Johnson has personally raised over $8,000 for the family, as well as significant donations of clothing and household goods. Sergeant Johnson is not just committed to the work of the Hyattsville Police Department. She is truly committed to the community. Her two children attend Hyattsville schools, and she has served as a softball and basketball coach through the Catholic Youth Organization and Northwestern High School. Known as "Officer Suzie" in the community, she knows kids by name and never hesitates to reach out to help. The District of Columbia Fire Fighters Burn Foundation has posted an update on their injured firefighters. DCFD Fire Fighter Chuckie Ryan is also the Volunteer Chief of the Riverdale Fire/EMS Station in Prince George's County. The Foundation has been doing a fantastic job in keeping everyone informed with up-to-date information about the injured firefighters and providing comfort and care to the family, friends and co-workers at the Burn Unit of the Washington Hospital Center. This is the most up-to date information, please continue to check http://www.dcffburnfoundation.org/ for updates. Thursday, April 21, 2011 - We are very pleased to announce that DC Fire Sergeant Ramon Hounshell was released from The Burn Center at Washington Hospital Center this afternoon. Sergeant Hounshell will continue to receive treatment and rehabilitation on an out patient level from the burn he sustained on April 8 while operating at a house fire in North East DC. Sergeant Hounshell and his family would like to thank everyone for their outpouring of support while he has been in the hospital. Hounshell is expected to make a full recovery from his burns and return to work in the next few months. Firefighter Chuckie Ryan still remains in the Burn Center Intensive Care Unit at Washington Hospital Center. Ryan had a third surgery yesterday and still faces several more in the near future. Please continue to keep Firefighter Ryan and his family in your thoughts and prayers. Firefighter Ryan continues to remain committed to making a full recovery and is encouraged by the support that he continues to receive from his wife Kathy, his family, and fellow firefighters. The members of Rescue 3 and Engine 15 continue to remain by his side each day to offer support for Ryan and his family. They are a true example of what the word brotherhood means. 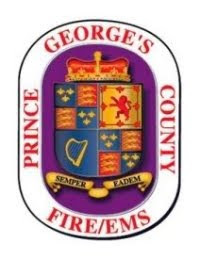 At about 5:30 am, Friday, April 22, 2011, Prince George's County Firefighter/Medics responded to a Glenn Dale home that had sustained significant damage from a fallen tree. Fire/EMS units and the Departments Technical Rescue team arrived in the 10000 block of Dubarry Road and found that a large mature tree had fallen from the back yard on top of and into the 1-story single family home. 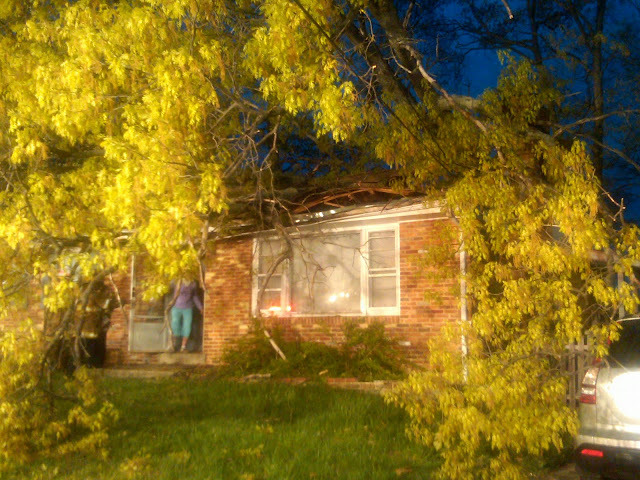 There was one person inside at the time that was uninjured and self-evacuated. Technical Rescue personnel surveyed the damage and controlled utilities going to the house. There was significant damage and the house has been declared unsafe to re-occupy.